With Mantra Meditation for Creating Abundance, you are invited to engage the practice of sacred sound to invite positive changes in your finances, your career, your creative pursuits, and your search for inner wisdom. 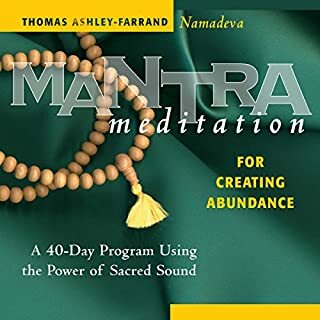 Mantras, teaches Thomas Ashley-Farrand, are highly evolved sound formulas first developed in ancient India, which can influence the subtle energies both around us and within us. The author's voice is very soothing and filled with spiritual power. I loved this program!